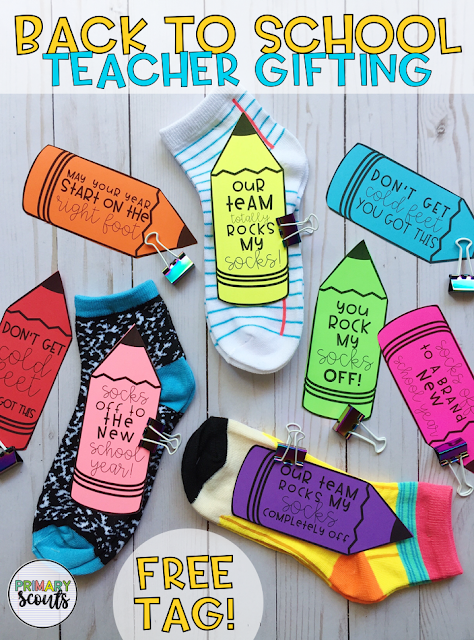 Looking for an affordable, fun, and cute teacher gift for your teammates or your child's classroom teacher? Look no more! 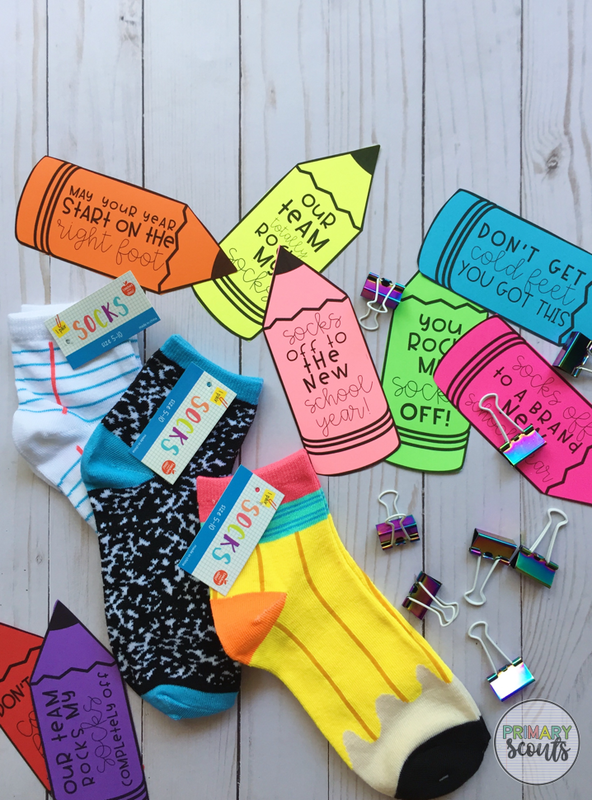 I have you covered with this FREE tag set to pair with socks for all your gift giving needs this coming school year. Keep reading for your free download link. I found my socks at the Target Dollar Spot for just $1 a pair! I really liked the composition book, notebook paper, and pencil socks but there were tons of graphics to choose from within the collection. Next, I picked up a box of binder clips (large paperclips would work too) to attach the sock to the gift tag. To get your free gift tag, you can download it here from my Teachers Pay Teachers shop. I printed my tags onto colored cardstock, cut around them, and just used the binder clip to quickly attach it to the socks. And there you have it - easy, purposeful, and cheap gift giving for back to school.